Lords and ladies, welcome to your castle away from home. Whether you're seeking a romantic tryst, a friends' weekend, or a memorable family celebration, Castle Ridge provides a royal retreat from everyday life. 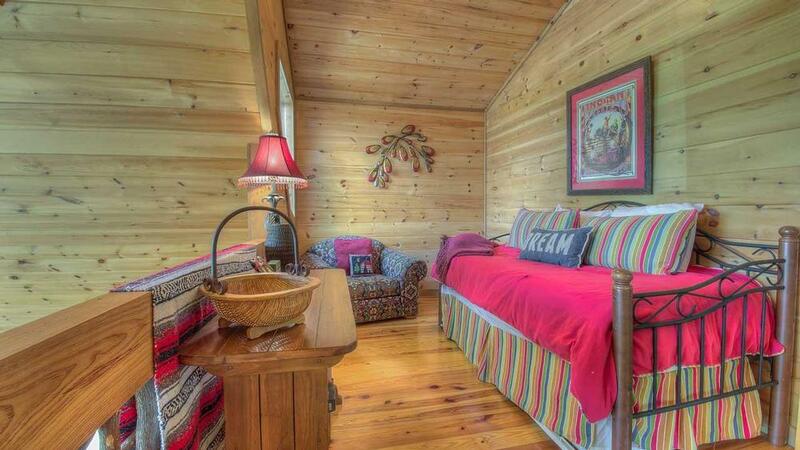 This cozy yet spacious North Georgia cabin rental features soaring stone and timber architecture; laurel staircases; knotty pine tongue-in-groove throughout; art glass fixtures; and an eclectic mix of comfortable, 'country cabin' decor. Its main feature, the great room's stunning prow-front wall of windows, offers panoramic vistas of the mountains and the town of Blue Ridge. 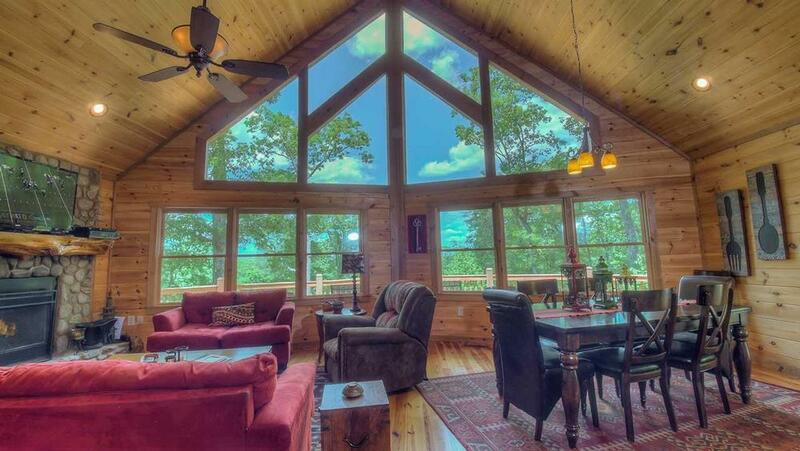 Nestled among trees in a mountaintop community, this palatial setting is only minutes from Lake Blue Ridge, the Toccoa River, the Aska Adventure Area, and downtown Blue Ridge. And while there are so many activities close by, you can also simply enjoy the views from your Adirondack chair, relaxing on the sun deck. The full-sized kitchen and dining area are ideal for entertaining and hosting special occasions. Or dine al fresco on the covered deck, surrounded by serenity and beauty. There's plenty of indoor fun awaiting you in the game room. Enjoy some ping pong, challenge a friend to air hockey, play Xbox, choose a movie from the vast DVD library, or listen to music. There are also numerous books, board games and a toy chest filled with children's favorites. There's no better place to reconnect and rekindle the home fires than Castle Ridge. The romantic great room, with its mood lighting, is ideal for late night conversations by the beautiful wood-burning stone fireplace. Or, on a starlit night, both the hot tub and the fire pit can keep the chill away while providing an optimum place to end a perfect day in the wonder of nature. 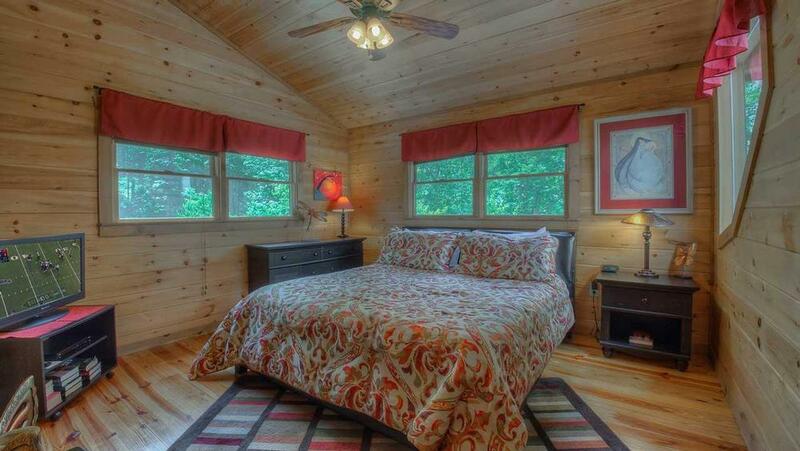 This intimate retreat floor plan was designed for privacy. Each floor offers a large bedroom, bath and sitting area, and the loft provides a fourth way to sleep in style. Settle into the master bedroom upstairs - a spacious, richly decorated room with a sleek, contemporary, platform bed, and gaze out at the stars. Snuggle up in the loft with a good book and more breathtaking views on the twin daybed, which is also perfect for children with their parents right nearby. The charming, antique-themed main floor queen bedroom welcomes you with a dainty beaded and quilted comforter — step out on to the deck to watch the sunrise. 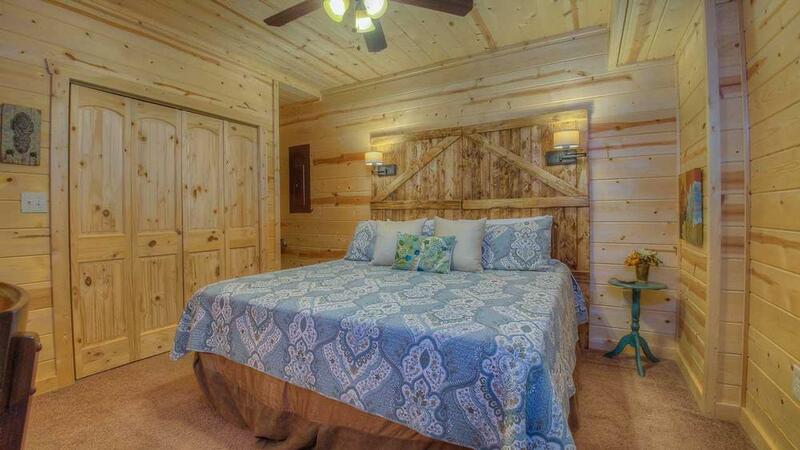 The lower level's luxurious king bedroom features custom, rustic furnishings and plenty of windows. Treat yourself to an escape among some of the most breathtaking scenery in the country. Spending a few days at Castle Ridge is sure to make anyone feel like the king or queen of the world. 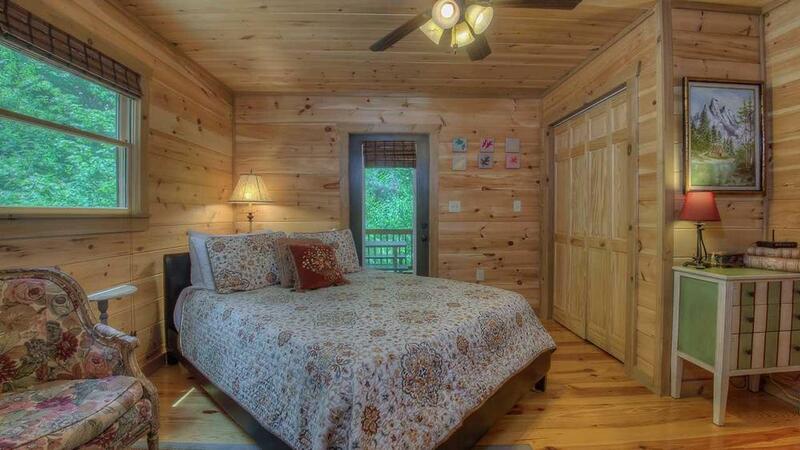 02/19 - Close to town, king size beds, good fireplace & lots of wood. Reservations is always on top of things! 01/19 - Beautiful view, close to town. Home has everything you need for a great family getaway. Best of all its pet friendly. I have really enjoyed working with your staff. Very prompt in answering questions. Friendly. 12/18 - Clean, warm, welcoming & spacious! Very pleasant & helpful staff!! 11/18 - Easy access. 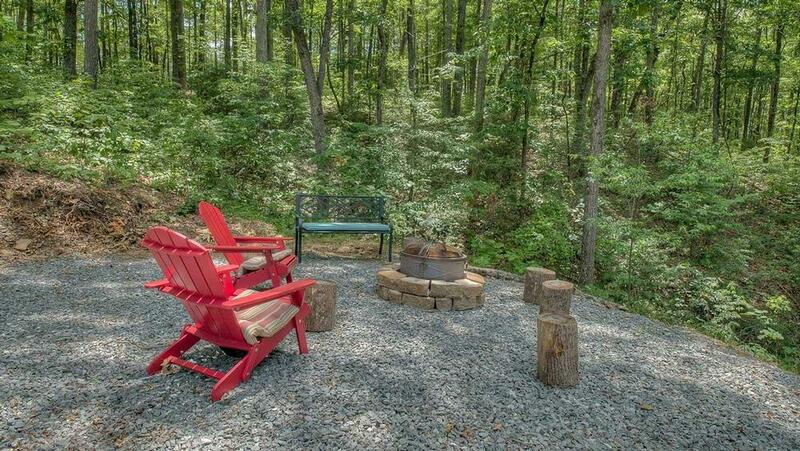 Downtown Blue Ridge is 5 mins away, yet you still feel like you're in a cabin on a mountain. 10/18 - We loved the cozy feel, the fireplace, the view- super close to everything but still secluded. Excellent!! 09/18 - The proximity to the city of Blue Ridge was great. We loved the wall of windows and the expansive porch/deck. 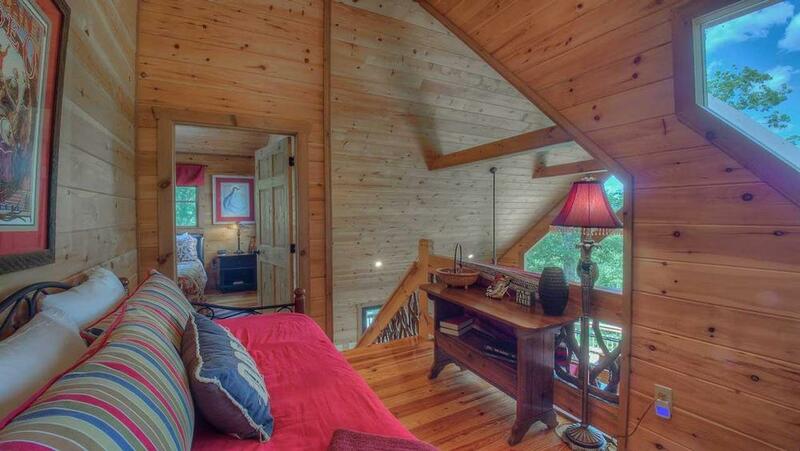 Having a nice bedroom with full bathroom on each level provided plenty of privacy. Your company was easy to work with and very professional. 08/18 - Clean, nice view, comfortable, good location. Great customer service. 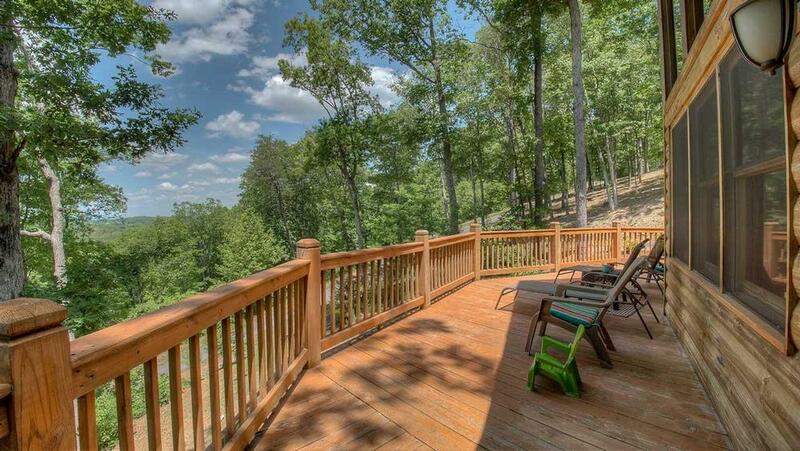 08/18 - Screened in porch, game room, views, spacious, decks. Very helpful and professional, friendly. 07/18 - A very impressive cabin! Very comfortable. Plenty of space and lots to do. 07/18 - This home has everything you need. From kitchen supplies to games to play, it has it all. The reservation process was smooth and simple. 2/18 - Clean, very accommodating and gave us everything we needed. Very friendly staff and loved how everything was handled via email. No need to stop in an office and sign paperwork. 2/18 - Close to town. 08/17- Very comfortable and lovely home. Loved the floor plan and the windows. Very good guest service. Friendly and prompt and professional. 08/17- Most everything was provided and what wasn't was told to you ahead of time for planning. Good communication and easy check in/out. 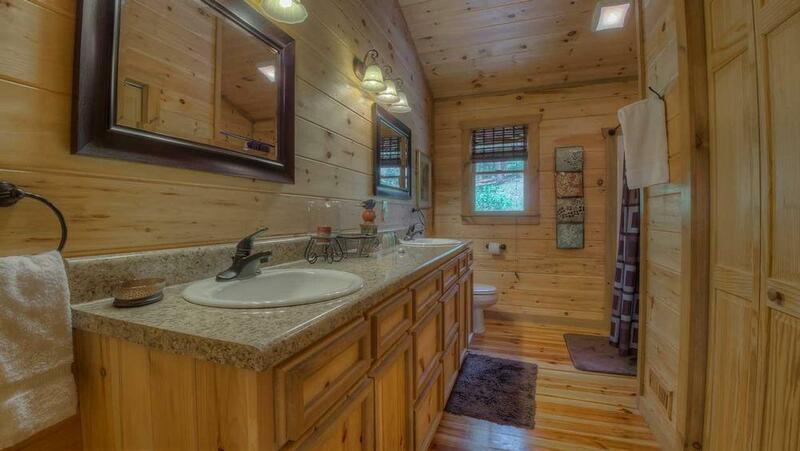 07/17- The views were incredible, it was immaculately clean, and the decor was perfect for a cabin home. Professional and friendly staff. 07/17- The cabin was big enough for all 6 of us to be together when we wanted or to spread out when we needed to wind down. We also liked that the cabin was so close to downtown Blue Ridge. The staff was very helpful in helping me make our last minute reservation. 06/17- I liked the various family activities it offered. 06/17- Great location (close to everything) and the basement is great for kids! Escape to Blue Ridge is outstanding. Been a customer for years. 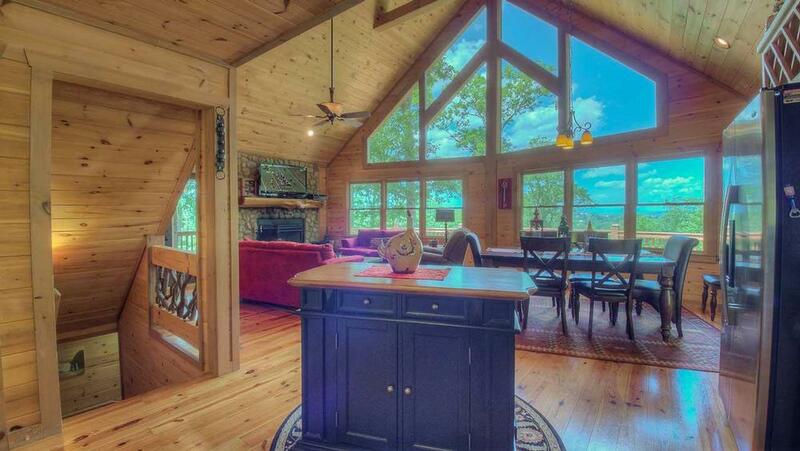 04/17- This is a stunning cabin! There is so much beautiful detail in this home. This is my second time booking with this company and you all have made it an easy process. I will always use this company for all of my cabin needs. Thank you for your excellence! 04/17- We enjoyed the space, view, hot tub & games. Very good company. 03/17- All the bed/bathrooms were spacious. We liked the openness of the great room and the natural light from the windows. The game room area for the kids was wonderful to have. The staff were very prompt with inquiries and responses, very helpful and courteous. Would definitely use your company again. 11/16- We loved this beautiful cabin and the way it was decorated. Really appreciated the space and it allowed us to have some privacy when we wanted to retreat. 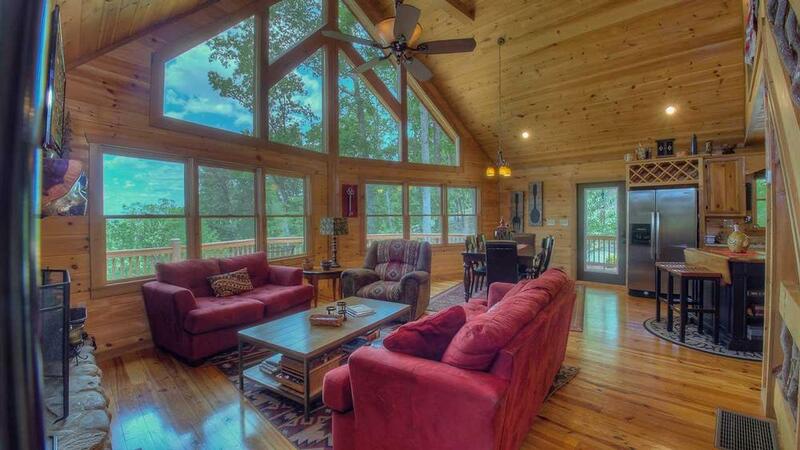 Loved the windows into the great room and the wrap around decks. It was so warm and inviting in every way.The game room was a blast too. We all took turns playing ping pong, or just sitting on the couch to read or watch t.v. was great. We'll be back and probably either get a larger cottage with one more bedroom or get two close to one another! 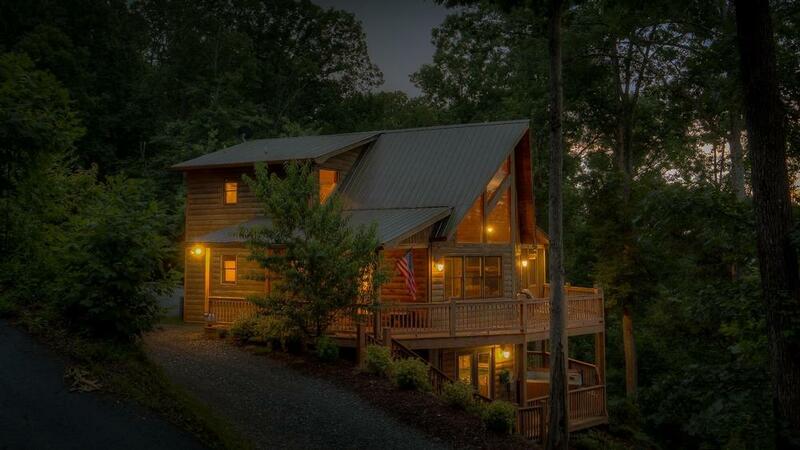 My sister and I stayed in Cabin Sweet Cabin in Morganton 5 years ago and we never forgot our experience with this company, the cabin and this beautiful area. This year we had a family reunion and stayed at Castle Ridge in Blue Ridge. From the very beginning we felt well taken care of, from the application process to the cleanliness of the cabin and how everything is so well taken care of. Thank you for helping us to make wonderful memories. We'll never forget it! 10/16- Beautiful and clean, nice beds and linens. Excellent service. 10/16- Our favorite features of the home were the fireplace and the hot tub! Very friendly staff!!! 09/16- It was great to have a sufficient supply of necessities for the weekend... toilet tissue, dishwasher tabs, etc. The beds were super comfy! Everything was in working order, which was so nice. Everything was super easy. 09/16- We had an amazing time. The cabin was so nice and spacious. The rooms had their own bathrooms and the beds were very comfortable. We loved the fireplace and the BBQ. 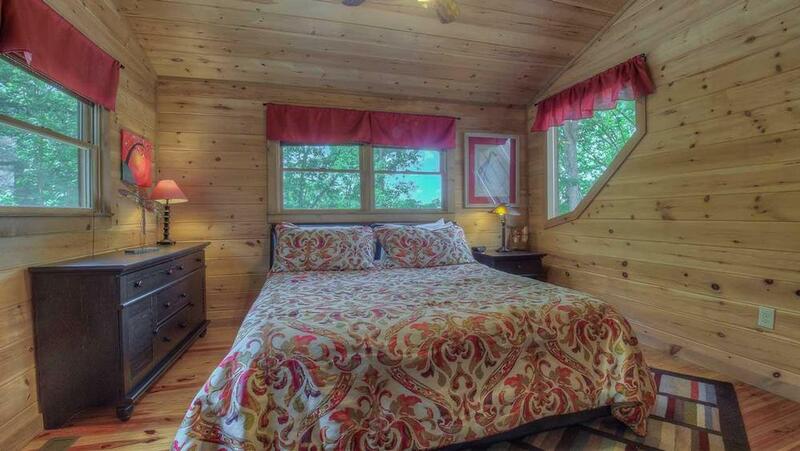 The cabin is close to downtown and close to zip lining and water rafting. Great company, clear communication. 08/16- Plenty of spaces. Smell of cleanness. Staff frienly. Reasonable price. 07/16- Cozy feel. Pet friendly was the most important fact. You all were great. 07/16- The home gave us a very "comfy" type feeling. It had everything we needed and in a great location. 04/16- The home has three levels. 04/16- Enjoyed the decor and beautiful view. Loved the attention to detail, for example, extra batteries for kid games, marshmallow skewers and firewood placed outside the door. 03/16- Loved the spacious rooms and all of the beds were incredibly comfortable! 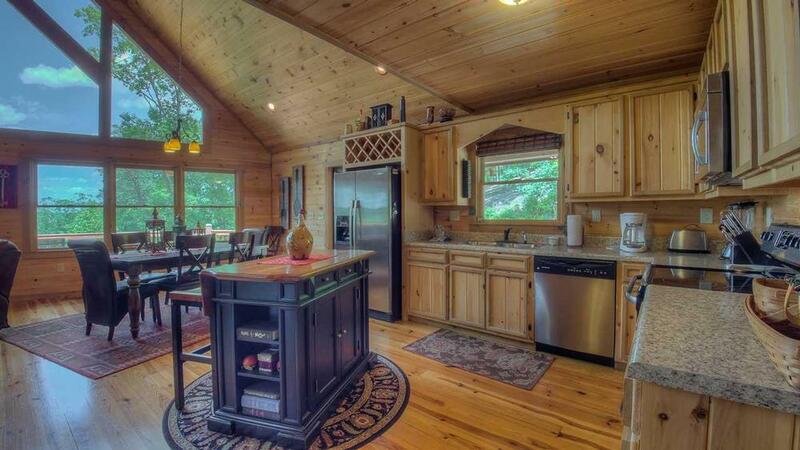 We loved the entertainment features of this cabin as well (ping pong, hot tub, wrap around deck). 12/15- This home was AMAZING! It was beautiful, spacious and great location to downtown. Great customer service and very friendly agents. 10/15- Close proximity to Blue Ridge. 10/15- Lots of open space and view of the area. Always had wonderful service from your company. 10/15- The covered porch and the game room were very nice. The beds were comfy. Being close to town was a plus. 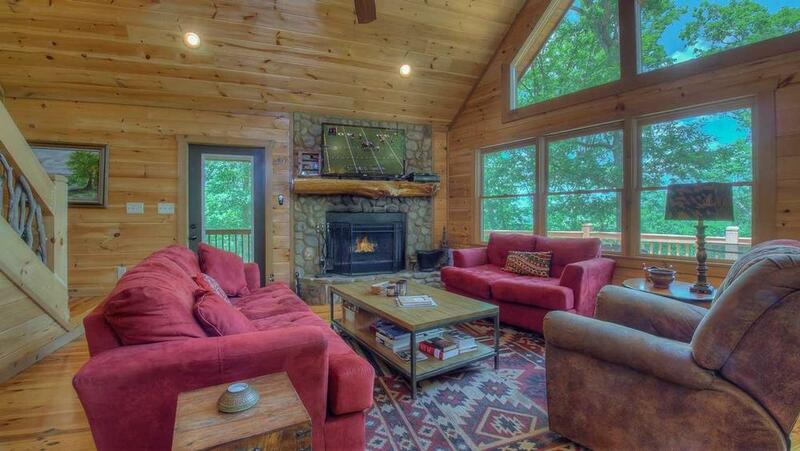 We would have rented the cabin for the week of Christmas for our family if it had been available. Everything was first rate. Great communication with the whole process. The welcome package was a nice touch. 09/15- The cleanest cabin we have ever rented, close to town as well. Very easy to work with you folks and the cabin selections are great. Thanks. 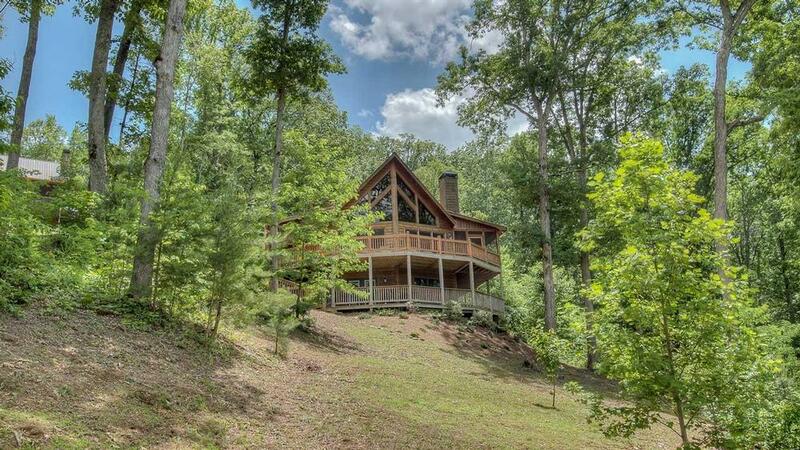 08/15- Beautiful home in a great mountain location. 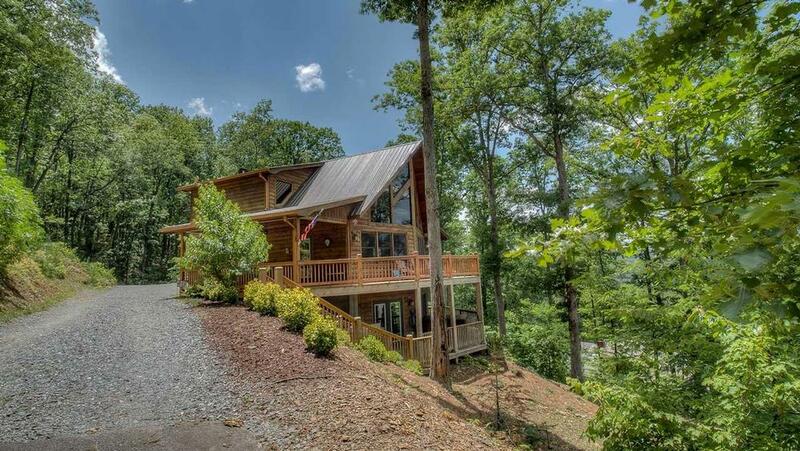 This home has every thing you could possibly need or imagine - game room, spa, outdoor fire pit, wonderful mountain views and fabulous sunsets. ery professional operation. From the initial booking to the welcome package we received upon check in at the property. Very classy. Thank you very much for such a great vacation. 08/15- location - quick access to town. View from the porch. And ping pong -grand kids must have played 100 games. 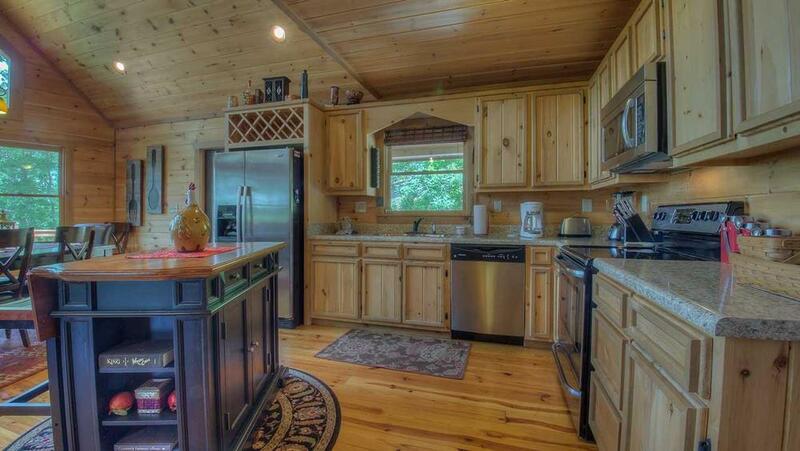 Well furnished kitchen. Company seems to be well organized. Helpful with your emails and web site. 07/15- We absolutely loved our visit to Castle Ridge. We had two families and loved the relaxing time we spent. 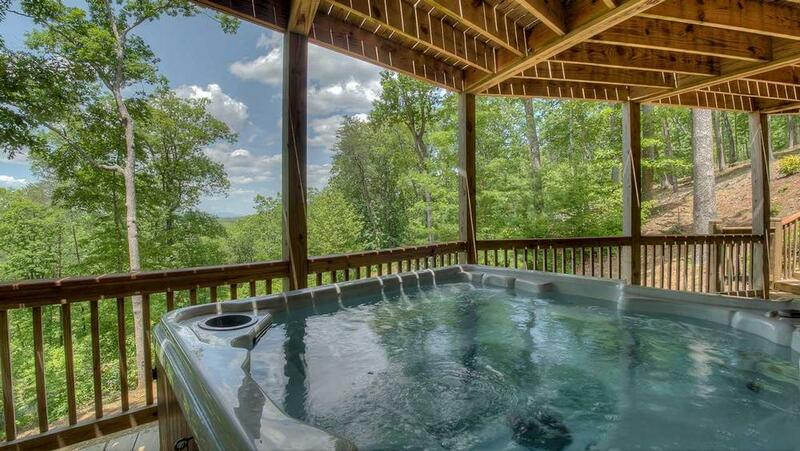 06/15- The hot tub, the view, and the overall comfort of the cabin are fabulous. 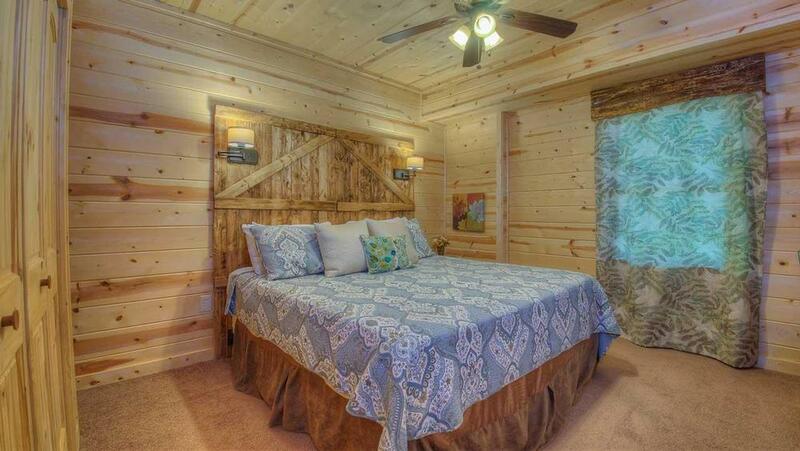 This cabin has everything a person could want for a fun, relaxing break. Thought the company was great and attentive. This helped make the vacation more relaxing. 06/15- The "cabin" (all three levels) was not just clean when we arrived; it was immaculate. The kitchen had everything we needed, and my husband *loved* the grill on the porch. We were a little hesitant about letting our two pups run loose - afraid they would run off - but they went nuts running around and around up and down the hill and always stayed close. (No real worries anyway - very little traffic in the area.) We did a white-water rafting tour (*fantastic*), a ziplining tour (terrifying for me, hugely fun for my sister) and my husband and brother-in-law played three rounds of golf at various courses, all of which were incredibly affordable. It's a beautiful home in a great location - easy access to all of those amenities as well as Ingles grocery store, but remote enough to feel as though you're in the middle of nowhere when you get back to the house. I submitted an inquiry about Castle Ridge via email on a Sunday - and received a call back within fifteen minutes. The entire rental process was extremely efficient and professional. When we had to call about a minor repair (broken handle on the kitchen faucet), they had someone (a dog-friendly someone, no less) out to the house within an hour and a half. 04/15- bedrooms aren't near each other, aside from loft, which means everyone has space and rests easy. Very professional, easy to plan vacations with online/phone setup. 04/15- Beautiful in and out. Perfect location. 03/15- Bedrooms on every floor of the house for privacy. Game room. Hot tub. Fireplace. 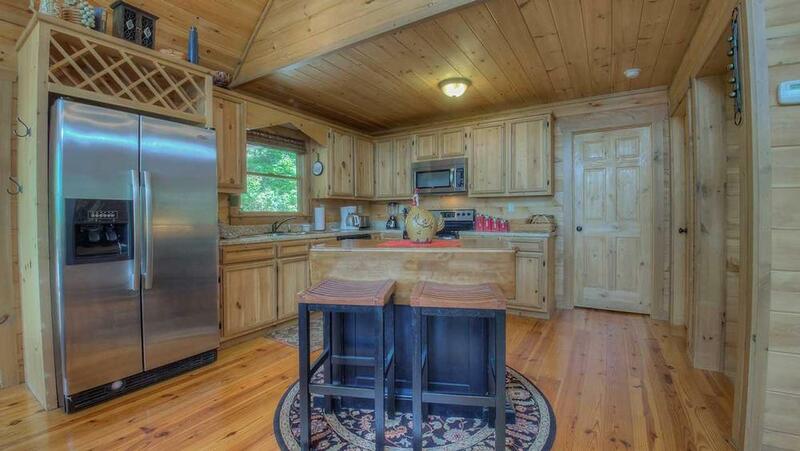 Just a beautiful cabin, decor, and everything. I would definitely come here again. 02/15- kitchen well-stocked for cooking. A live person always answered the phone and answered all questions regarding reservations. Nice welcome touch of small cooler with "goodies". 10/14- Screened-in porch with outdoor eating area and separate sitting area; well-equipped for indoor recreation (ping pong table, air hockey and XBox360) and outdoor (horse shoes and fire pit); beautifully decorated, very comfortable beds and well appointed home. Also the location close to Bue Ridge was very convenient. 09/14- Screen porch, floorplan, well appointed kitchen were all great!.Compared to past experiences with other firms, this rental services exceeded our expectations. 08/14- First, the cabin was extremely clean and comfortable. We enjoyed sitting out on the screened in porch for breakfast. We loved the amount of things that were provided in the cabin: dishware, coffee filters (lifesaver! ), salt/sugar, children's toys, air hockey, ping pong, blankets, among others. We also really liked that each bedroom and bathroom pair was on its own floor. It provided a certain amount of privacy.I planned this trip last and reserved this cabin a bit last minute, so I really appreciated the prompt confirmation call the next day (a sunday)! We enjoyed the welcome items in the cabin and greatly appreciated the binder of Blue Ridge activities. We ended up going to the Toccoa Riverside Restaurant and Mercier Orchards and loved both experiences. If we ever get enough money to buy our own cabin, we would love to have you all manage it! 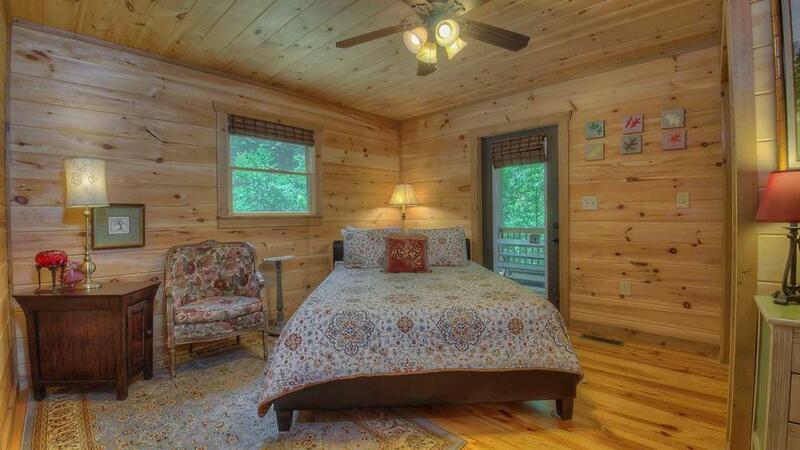 We love Blue Ridge and we have stayed in many cabins since 2007. 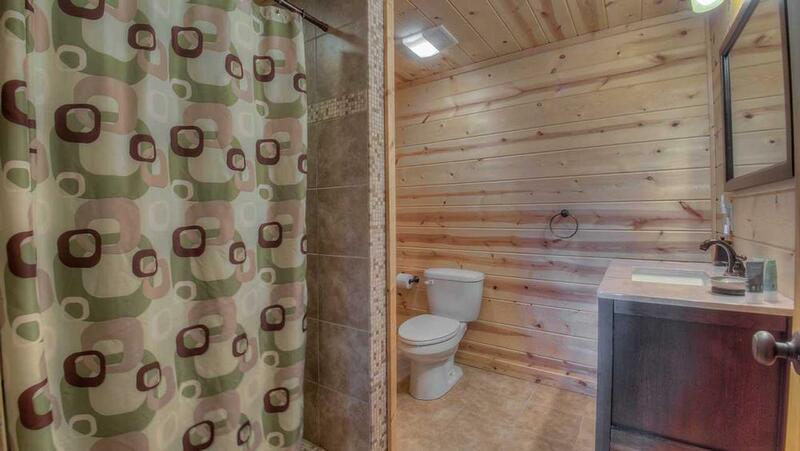 This was our least favorite cabin to date. The bath, shower and kitchen faucets are in pretty bad shape. The kitchen appliances that are available were less than satisfactory in comparison to all other cabins we have recently stayed in. The view was a big disappointment. 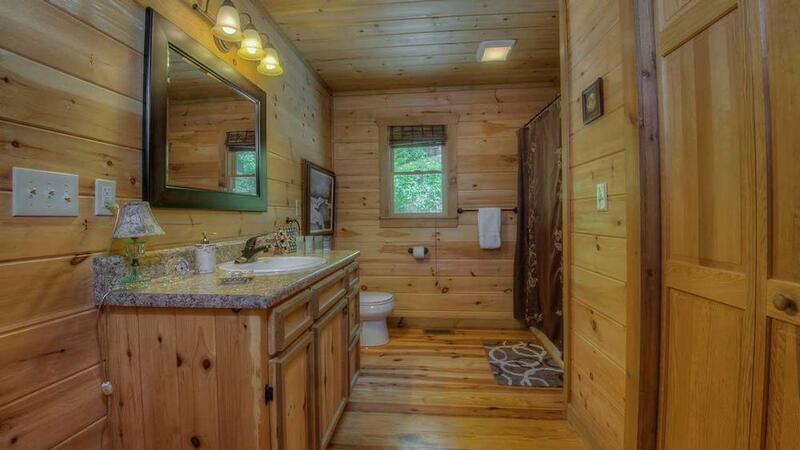 Overall, just not satisfied with this cabin. Won\'t be back to Castle Ridge. The service is great. the reservations are super easy and so are the payments. the directions are spot on and we had no issues with our vacation. 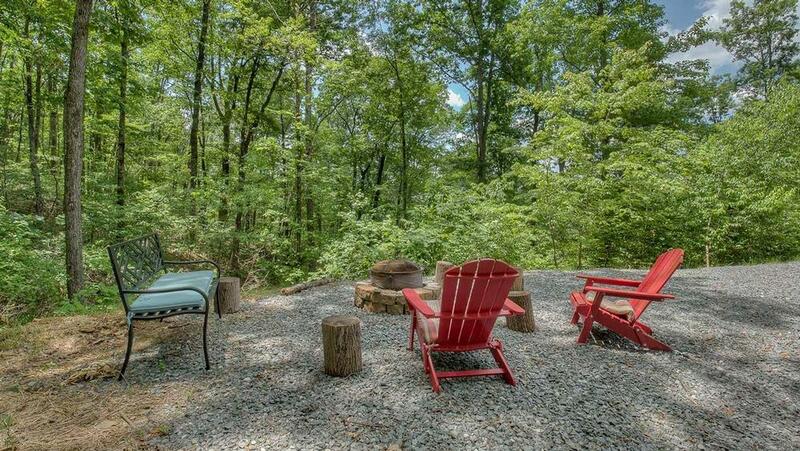 We used Escape to Blue Ridge to book a cabin for a family vacation. My adult siblings and I planned a getaway with my mom, the first time we'd done such as adults. Castle Ridge was the perfect cabin for us. There was enough room that we felt we had our own space, but also cozy enough that we felt like we were having close, family time. We also have dogs who are very much a part of the family and appreciated that they were allowed. 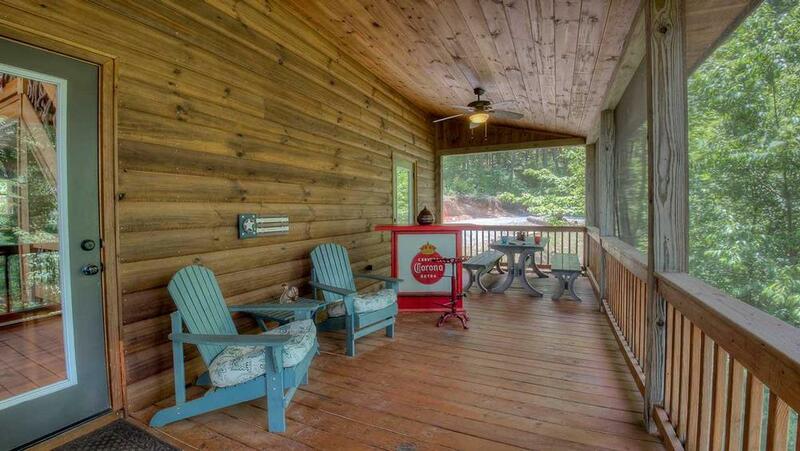 The cabin is just minutes away from tubing on the Toccoa River (which we did TWICE!) a short drive to Mercier Orchards, and super close to downtown Blue Ridge so there was plenty to do. We even drove 45 minutes to raft the Ocoee River which I highly recommend as well. The cabin was well stocked with everything we needed and we had a great experience.